Did you take your car out for a test drive before you bought it? How long did you take it out for? What did you check for when you took it out? The test drive can be the deciding factor when it comes time to buy a new vehicle. It’s a decision you’ll live with for, presumably, a long time, so you’d best be sure you’re making the right one! Unfortunately, some people base their purchase on a 10-minute zip around the dealership’s neighbourhood. Seems a little quick for such a major purchase, doesn’t it? At Ford Canada, we want you to be our worst critic. We want you to be so sure that the Ford you drive off the lot is your perfect fit. That’s why we’ve prepared a test drive checklist so you’ll know exactly what to look for when you take one of our vehicles out on the road. Before you hit the road for your test drive, take a moment to have a good look at the following things you wouldn’t notice while taking a ride. Give it a once over. Walk around the vehicle, and look at it long and hard from several angles. How does it look from the back? Are all the panels and handles perfectly aligned? Open and close. Perform some simple “does it feel right” checks. Open and close the trunk and the doors. Do they feel heavy or awkward? Sit in the front and back seats. Will the people you chauffeur around be able to get in and out with ease? Touch. When it comes to the interior, how does it look and feel? Wriggle around in the seats. Could you put up with them for a long drive? How about the steering wheel? Is the stitching perfect? Can you reach everything – shifters, stereo and heat controls – easily enough that you don’t need to take your eyes off the road? Just in case space. This might be a no-brainer, but does your potential purchase have the space you need for all your life’s situations? Can you fit your kid’s hockey equipment in the back? How about your camping gear? Is there room for the family dog? Before the rubber meets the road, there are some things you should keep in mind. Drive exactly what you want. If the specific model/trim package you are interested in is available, drive it. Differences in transmission, suspension and tire packages (among other things) can have a big impact on your overall impression. Choose your own adventure. If you’re familiar with the neighbourhood, drive your own route. A test drive down a regularly travelled path is always preferable. Braking: soft and hard braking conditions, does it stop in a straight and controlled manner? Parking: check for blind spots, how hard it is to identify the corners when parking? Buying a new car is a huge decision and one that shouldn’t be rushed. Take your time, don’t feel pressure from sales staff to make an instant decision, and stick to your guns if you’re not completely satisfied. Special thanks to MSN autos for providing the background for these tips. They’ve even created a handy checklist for you to print out and bring with you on your drive! Available Applink™ enabled apps vary by market. New hardware meets new software. The easy-to-read colour screen houses a sleek, clean interface that was designed around you - with phone, audio and available navigation functions all featured on the home screen. The SYNC® 3 system reacts quickly to your commands and the capacitive touch screen has impressive responsiveness similar to your smartphone like swipe, and pinch-to-zoom functionality with optional navigation system. Find your favourite music fast with intelligent voice commands. If you are listening to the radio and want to hear music from your USB-connected phone instead, just say “Play” and the artist or song name, and SYNC 3 can automatically switch to your music selection. With simple destination entry, it's a breeze for SYNC 3 with optional navigation to locate that hard-to-find Thai restaurant, the nearest ATM, or a highly-rated coffee shop. Plus, responsive, adaptive search results are based upon your preferences. SYNC 3 brings the power of Siri® Eyes Free91 and your iPhone®91 into your vehicle. Make or receive a call, reserve a table, audibly send a “see you there” text and more. Find out what's available in your favorite Ford vehicle. Just say a name to make a call. Enjoy many of your phone’s features like caller ID and call waiting. Hear your ringtone from your supported phone when a call comes in. Use simple voice commands to find the station or program you want. Listen wirelessly to a variety of audio from your phone. Access commercial-free entertainment with voice commands. Plug in your device to listen and charge simultaneously. The available hard drive can store up to 2,400 songs. Enjoy your favorite audiobooks on the road. Search a database of artists, album art and tracks. The system can assist occupants to call 911. Use your voice to control some of your favorite mobile apps while driving. Choose from shortest, fasted or Eco-Route suggestions. Get maps with 3-D imagery. SYNC® can read your incoming texts from your connected phone. Respond with a variety of preset outgoing text messages. Customize the preset outgoing text messages. Create a Wi-Fi® hotspot using SYNC® with MyFord Touch® and your phone. Watch a video on your touch screen when your vehicle is in park. When in park, watch your favorite DVD on the color touch screen. Just use your voice or touch screen to adjust the climate. Customize your screen to see music, phone, navigation and climate. 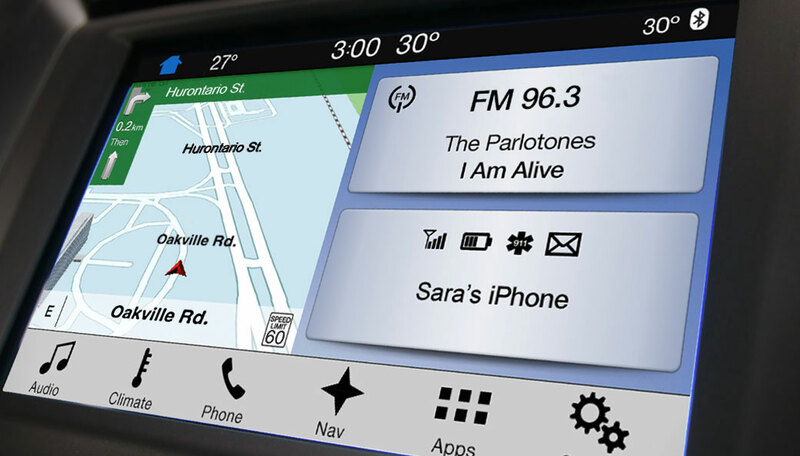 Personalize your screens to view music, phone, navigation and climate. Control your cluster screen, phone & more while keeping your hands on the wheel. Compare your average mpg to your instant mpg. See your recent mpg history and see how efficiently you’re driving. Easily control/customize many vehicle functions with a vivid touch screen. Customize your interior to suit your mood. Plug in just about any device and listen to it over your sound system. Insert an SD card to access your music, photos and more. Plug your device in, watch videos when the vehicle is parked. Plug in your portable music player for personalized tunes in your vehicle. 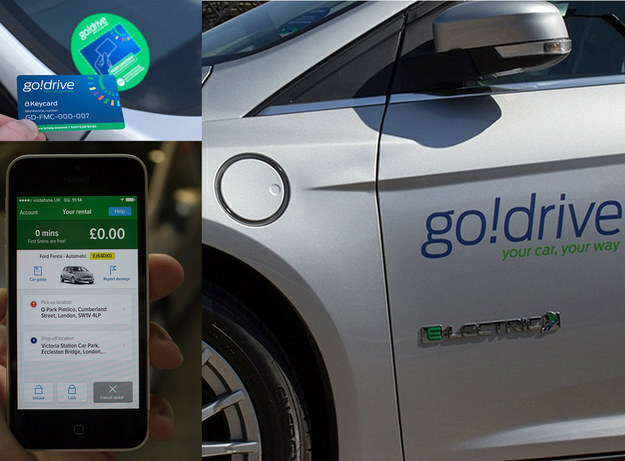 GoDrive is the first of 25 Ford smart mobility experiments to be launched publicly. When Ford Motor Company announced its Smart Mobility Plan at CES this past year, company executives emphasized that its 25 experiments were just that. Not all of them were intended to reach commercial viability. “Each experiment is different and luckily [Ford CEO] Mark [Fields] is giving us the ability to experiment and fail fast,” Erica Klampfl, Ford’s global future mobility manager, said at a press event in April. But one of those experiments, City Driving On-Demand, has birthed a real social mobility service. Called GoDrive, it’s an on-demand, app-based car-sharing service. Ford launched it in London on Tuesday with a fleet of 50 vehicles that can be booked on demand, picked up, and then dropped off at one of a number of hubs across central London. Booking a car through the app also effectively books a parking space at the chosen drop-off location. GoDrive, like many of the company’s other experiments, is Ford’s answer to industry disruptors like ride-hail giants Uber and Lyft — which are both gunning to replace personal car ownership. The service does require membership in order to validate each driver’s license — but it comes at no additional cost. Drivers only have to pay for each minute they use the car at a rate of 17 pence per minute — about 10 euros per hour. Though Ford has experimented with other car-sharing and swapping services in markets like Germany, Michigan, and India, GoDrive was the only one mature enough to launch publicly. Agius said London was an obvious first choice of market. “From an experimental perspective London is a perfect storm in terms of different variables affecting a car-sharing program,” she said. “There’s extremely constrained parking in central London, congestion and air quality concerns, and also the multiple boroughs in central London that make it quite a difficult city to operate in. Because it’s an experiment it is about learning and we wanted to make sure we were operating in a geography that would maximize learning. When it comes to the all-new 2015 F-150, you’ve already seen it perform unbelievably well in lab tests, and real world tests. 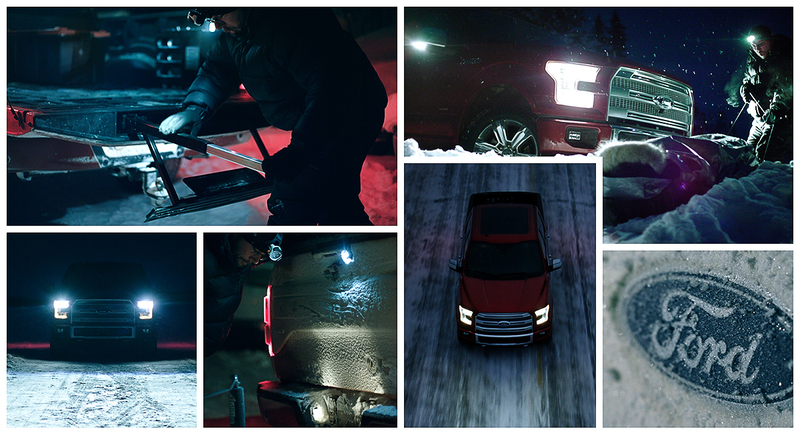 You’d think that’d be enough, but come on; it’s the F-150 – we wanted to show you what this truck can really do. So where do you take the Future of Tough to really push the bar? To a world of perpetual freezing temperatures and smothered darkness. 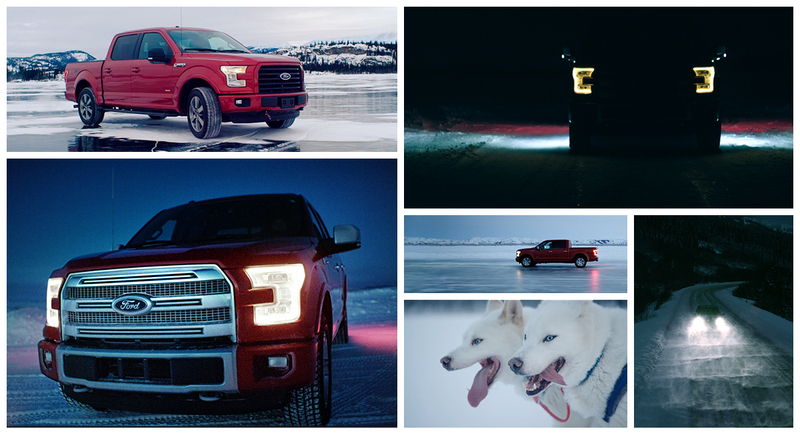 We took the 2015 F-150 to the Canadian Arctic Circle and put a search and rescue volunteer and a professional dogsled trainer behind the wheel. Have you ever had a chance to drive a car designed entirely for the racetrack? The thrill that rushes through your veins when pressing the pedal; the excitement of taking the first turn… Now imagine the joy of lawfully driving it on the streets. 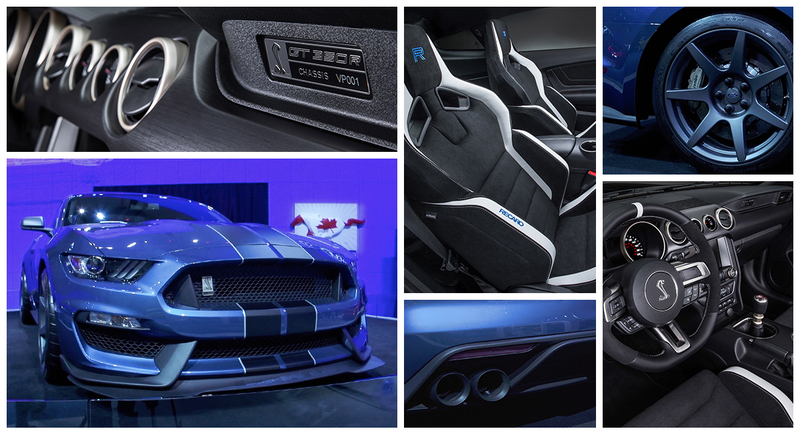 With the unveiling of the new Shelby GT350R Mustang at the North American International Auto Show in Detroit, it’s now a reality that will make every performance car lover smile. 1. It’s ready for unprecedented speed: The Shelby GT350R Mustang has been optimized to get you faster than ever with a combination of changes to aerodynamics and suspension tuning. From the hood vent for heat extraction and lift reduction, to an all-new high-efficiency carbon fibre rear wing and an aggressive diffuser, Ford engineers managed to increase the car’s downforce capability, forcing the car down onto the ground to get you maximum grip at high speed. 2. It’s all about performance: Ford engineers delivered against aggressive targets for weight reduction on the Shelby GT350R Mustang. Anything that wasn’t going to help increase speed was removed to reduce weight. This includes the air conditioning, the stereo system and the rear seats. With these improvements, the new model is more than 130 pounds lighter than the Shelby GT350 Track Pack model. Moreover, Ford is the first major automaker to introduce lightweight carbon fibre wheels, shaving critical unsprung weight to make it easier for the suspension to plant the wheels on the asphalt and reduce rolling inertia. 3. It’s more powerful than ever: The new 5.2-litre dual-overhead-cam V8 engine is the first-ever production V8 from Ford with a flat-plane crankshaft – an architecture typically found only in racing applications or exotic European sports cars. It is the most powerful naturally aspirated production Ford engine ever, with more than 500 horsepower and more than 400 lb.-ft. of torque. Also, an air-to-oil engine oil cooler typically found only on racecars maintains engine temperatures under the most severe conditions. 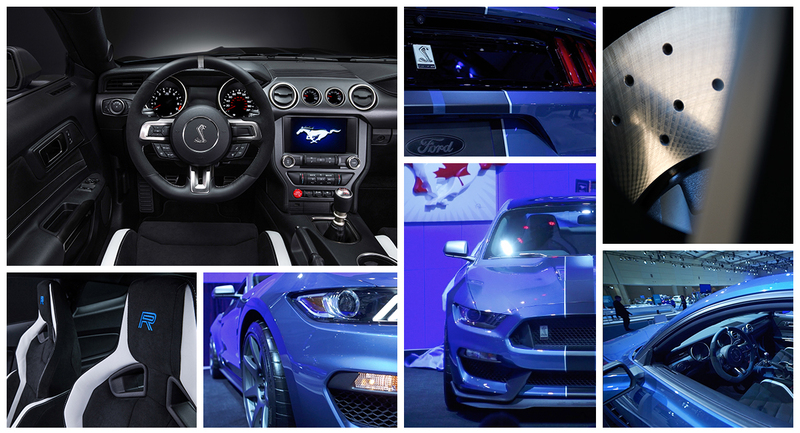 While waiting for this spirited Mustang to be available (which should be by the end of this year or the beginning of 2016), take a look at the long-awaited Focus RS or at the stunning Ford GT and tell us which one is your favourite Ford performance car by leaving us a comment below, on Facebook, or tweeting us @FordCanada. 6 reasons the Ford GT supercar is driving the future! When you head to an auto show, you anticipate seeing vehicles that are made for the road ahead. For the lucky crowd at the 2015 Canadian International AutoShow in Toronto, the future was right before their eyes when the Ford GT supercar made its first Canadian appearance. It’s faaaast. And we don’t just mean because of the engine. With only one year of development, the GT is poised for completion next year. Plus, Ford expects the first production prototype to arrive in the spring. That’s superhero speed in the car production world! Active suspension. Using an in-cabin button any caped crusader would appreciate, the GT can actually lower itself for better aerodynamics and increased stability, as well as lift its front end to accommodate ramps and speedbumps. It’s a lightweight heavyweight. With carbon fibre body structure and aluminum subframes, the GT has one of the best power to weight ratio of any car in the market. It controls the elements. Because it wouldn’t be a real supercar without a superpower, the Ford GT’s got wings. The flying buttresses that link the roof to the fender are curved in ways to literally control the air, creating downforce, redirecting air to the rear spoiler, and acting as intake tubes for cooling the engine. Did we mention it’s FAST?! The GT introduces the first-ever Ford Ecoboost twin-turbocharged, direct-injected 3.5-litre V6 engine that can produce more than 600 horsepower! It can predict the future. Since the GT already knows what’s coming, it’s equipped with a backup camera. Although it won’t make parking as fun as driving, it’ll ensure you do it perfectly every time. And just in case you needed something else to be impressed by, the Ford GT has a Canadian twist. Ford surprised auto show patrons by announcing that the stunning new GT Supercar will be built in partnership with Multimatic, a global engineering and manufacturing company headquartered in Markham, Ont. Love fast cars? Check out the Focus RS, another performance monster from Ford.